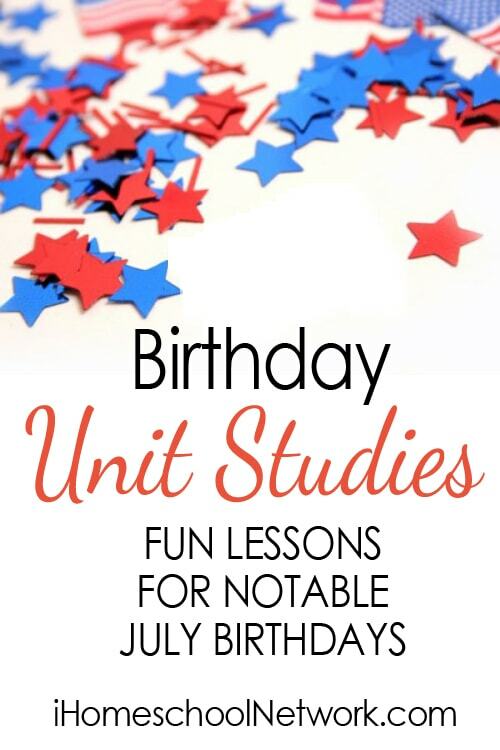 The bloggers of the iHomeschool Network have teamed up to create fun and original unit studies on fascinating people who were born in July. This project has been going on for several years, so you can see both new studies and ones created in previous years! Check out the entire Famous Birthdays series by month here!